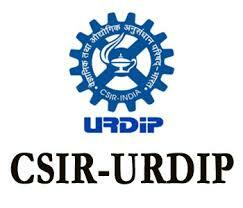 URDIP Recruitment 2018 2019 Application Form for 21 Project Assistant -II (Chemical Sciences), Project Assistant -III (Chemical Sciences), Project Assistant -III (Life Sciences), Project Assistant -II (Engg Sciences) Posts Download Application through Official website www.urdip.res.in. URDIP Project Assistant Jobs Notification 2018 Released. 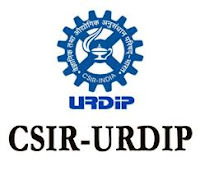 URDIP invites Walk in Interview for appointment in following Project Assistant post in Unit for Research and Development of Information Products. Candidates are requested to Download Application through Official website www.urdip.res.in. Prospective candidates will have to before Walk in Interview carefully reading the advertisement regarding the process of examinations and interview, eligibility criteria, Offline registration processes, payment of prescribed application fee/intimation charges, URDIP pattern of examination, URDIP Syllabus, URDIP Question Paper, URDIP Walk in Date, URDIP Result Date etc. 2. Project Assistant-II (Chemical Sciences) - M. Sc. or equivalent in Inorganic Chemistry / B.E/ B.Tech or equivalent in Material Science/ Ceramics & Glasses with the minimum of 55% marks. 3. Project Assistant -III (Chemical Sciences) - M. Pharm. or equivalent in Pharmaceutical Chemistry with the minimum of 55% marks. OR M. Sc. or equivalent in Organic/Inorganic/Medicinal Chemistry with a minimum of 55% marks plus two years research or relevant informatics experience. 5. Project Assistant - III (Life Sciences) - Master’s degree or equivalent in Life Sciences/ Biochemistry/ Biotechnology/ Microbiology/ Genetics/ Bioinformatics or equivalent with a minimum of 55% marks plus two years research or relevant informatics experience. OR M. Tech. or equivalent in Biotechnology with minimum 55% marks. 7. Project Assistant - III (Engg. Sciences) - B.E/ B.Tech or equivalent in Chemical with two years research/ industrial/ relevant informatics experience with a minimum of 55% marks. OR M.E./ M. Tech. or equivalent in Chemical with a minimum of 55% marks. 9. Project Assistant -III (Comp/IT) - Master’s Degree/ BE/ B. Tech or equivalent in Computer Science/ Computer Applications /IT with 55% marks along with two-year development experience. OR M.E./ M. Tech. or equivalent in Computer Science/ Computer Applications /IT with a minimum of 55% marks along with development experience. Date of Walk in Interview: 19th Jun 2018 to 27th Jun 2018.